Mother’s Day is one day each year when many dads are helping their children whip up a tasty breakfast to be served in bed to mom. Every mom dreams of breakfast in bed! Make her dreams a reality by trying one of these delicious recipes for the ultimate breakfast in bed. Scrambled, fried, poached, hard-boiled or baked, eggs are a breakfast staple. Moms will love any egg dish but you can really impress her by preparing one of these delicious recipes. You can personalize mom’s eggs by cooking them into a heart shape. Martha Stewart suggests browning a piece of buttered bread in a pan. Use a heart-shaped cookie cutter to remove a heat in the center of the bread. Put the bread back in the pan and crack an egg into the open heart-shaped center and cook until the egg is done. 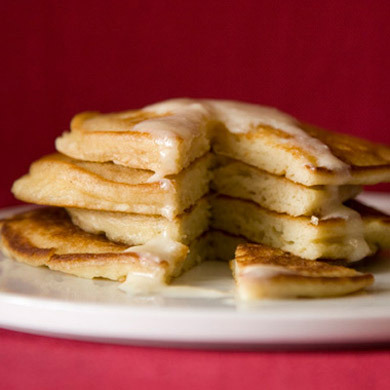 Pancakes are a fun, easy way to impress mom. Pancakes can be made with hundreds of different ingredients and a variety of toppings and syrups. Here are two of Serendipity’s favorites. Sticking with a basic pancake and jazzing it up with a special topping is another great way to win mom’s heart. Here are a couple of great toppings. Headed out to do something active and fun with mom? Make muffins for a delicious breakfast on the go. 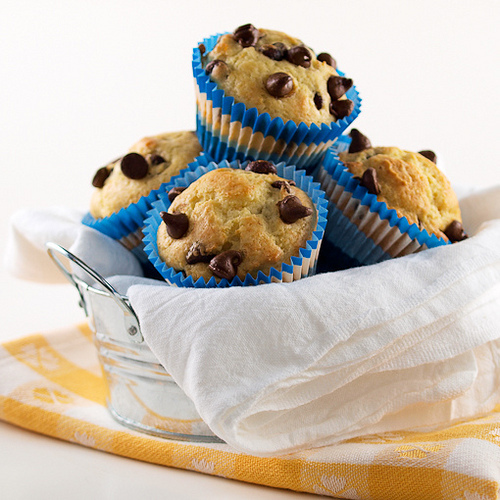 Personalize your muffins by buying brightly colored or patterned muffin cups found at most craft stores. Moms deserve something out of the ordinary. 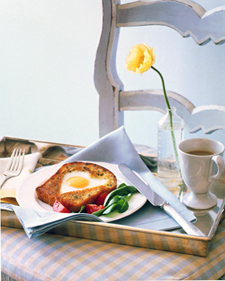 Make sure when you serve mom on her special day, to make the breakfast look as good as it tastes — add a fresh flower or hand-made card along with a cloth napkin. Although these recipes may take a little more time to prepare, mom will savor every bite! Don’t fret about trying to make the perfect breakfast for your crowd. From a broccoli and cheddar frittata to red velvet pancakes with cream cheese topping, Serendipity can create a custom menu for your breakfast celebration.